Sir William Hamilton was a British Diplomat, Antiquarian, Archaeologist and Volcanologist. Campi Phlegraei. 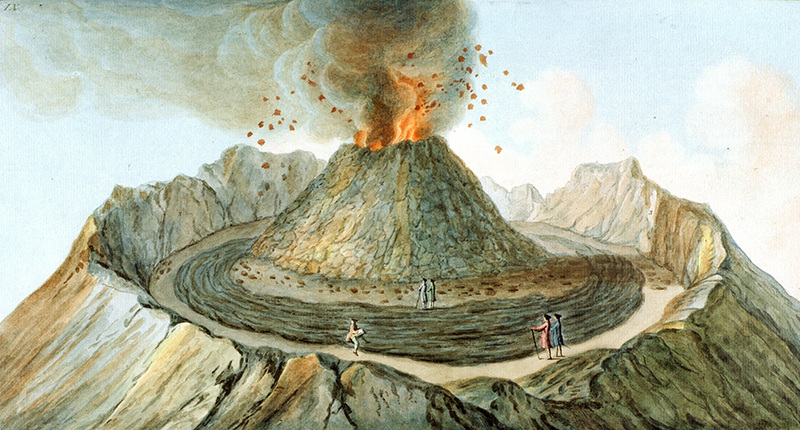 Observations on the volcanos of the two Sicilies as they have been communicated to the Royal Society of London (1776-1779) was the result of years spent observing volcanic activity in the region (known as Campi Phlegraei, meaning ‘fileds of flame’) surrounding Naples. The book includes 54 beautiful plates, which according to the its full title are ‘illuminated from the drawings taken and colour’d after nature’. Baking inspiration: “Interior view of the crater of Mount Vesuvius, as it was before the great eruption of 1767.” Illustration from one of the plates in Campi Phlegraei rff QE523.V5H3 (SR). ‘Campi Flake-Graei’ features five tiers of chocolate sponge, layered with cherry jam and chocolate buttercream, and covered in a coating of Cadbury Flakes. 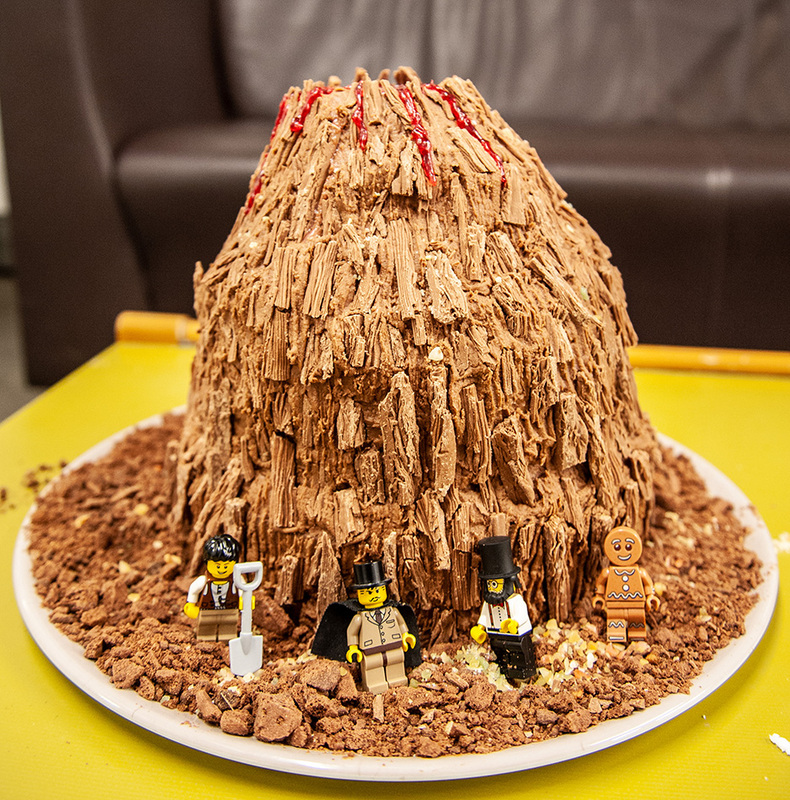 It is not quite as impressive as the actual Vesuvius, but definitely tastes more delicious! If you would like to learn more about the book, you can read about it in our blog series ’52 weeks of Inspiring Illustrations’ here.